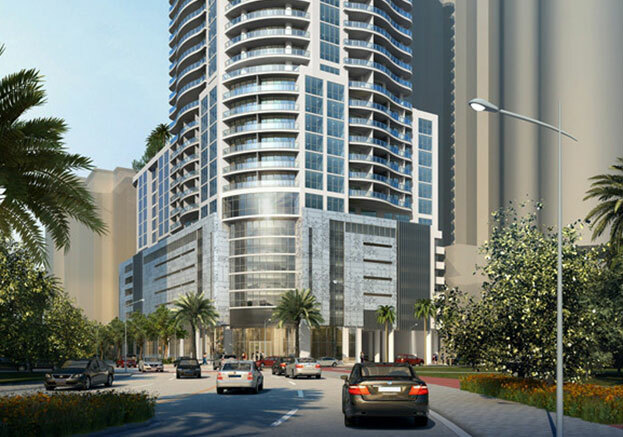 Hyatt Centric Fort Lauderdale, currently under construction is slated to open in 2020. The 238 modern-designed guest rooms will occupy the first 15 floors of this multi-story high-rise condo-hotel building –121 luxury condominiums are for sale on the 16th floor and above. The hotel amenities will include 8,500 sq. ft. restaurant with a large exterior patio space at lobby-level, an indoor/outdoor bar seating area on Las Olas Blvd, an elevated pool with views of Las Olas River, 6,000 sq.ft. of meeting and banquet space, 24-hour valet service and an onsite parking garage. Its downtown location will provide its guests and residents with a wide array of activities, including the plethora of upscale shopping and dining, easy access to the white sandy beaches of Fort Lauderdale and Miami, as well as having the arts, culture and entertainment at their fingertips.